Change programmes in both private and public sectors have a poor record of delivering their intended value. The reasons given most often for their failure include lack of executive support or buy-in from key users, loose requirements definition, weak programme management, and plain wishful thinking. They rarely include technical limitations. Value Management puts forward the view that the true problem lies in failing to understand the causal links between the intended stakeholder outcomes and the actual programme outputs. Repeating the pattern of failure can be avoided by asking two questions: - Before implementation, what capabilities must a change programme deliver, when and in what order so as to cause intended value against a defined purpose with speed and certainty? - During and after implementation, what minor adjustments and/or major shifts are needed to be certain that the programme remains on purpose and on value? and two answers to be given: - Target, time and align change programmes to deliver maximum intended value to stakeholders - the baseline business case - track and respond to changes during and beyond implementation to ensure that the programme actually delivers or exceeds intended value - value realisation. The authors show how, by asking and answering these questions, direction and delivery of any programme can be clarified and greater economic value achieved. 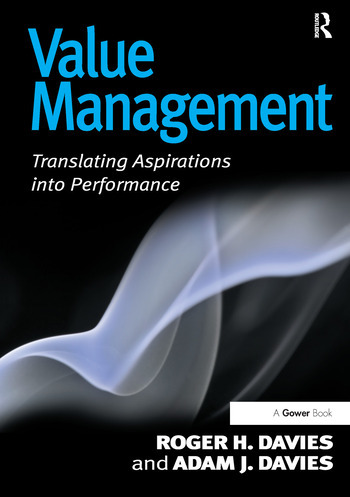 Contents: Foreword, Tim Marshall; Foreword, Lode Snykers; Preface; Introduction; Part I Problem: Critical value; Defining value; Precise simplicity; Elusive value. Part II Principles: Intended value; Modelling value; Programming value; Aligning value; Valuing certainty; Tracking value; Impact. Part III Process: JANET (UK) transformation programme case study; Appendices: precision - advanced techniques and tools; Glossary; Bibliography; Index. Roger Davies is a Chartered Engineer who began his career in manufacturing, initially working on robotic automation for Lesney and product design at ESSO before joining Plessey, where he took a leading role in applying three, at that time, revolutionary advances, Activity-Based Costing, IDEF0 process modelling and computer simulation. Subsequently, Roger grew the concept of Value Management into a key proposition within an international management consultancy, and in 2002, he founded Impact Dynamics Limited, which is dedicated to business performance transformation. Adam Davies has worked for Impact Dynamics for over seven years, training in Value Management while following a degree in Business Management and American Studies at Winchester University, in which he graduated with first class honours. During this time, Adam developed his interest in value creation through self-learning and specialist training in stock trading, subsequently moving to Melbourne, Australia in order to complete a Masters in Applied Finance at the Monash University Business School. Adam also worked on developing Impact Dynamics' suite of Value Management toolsets.